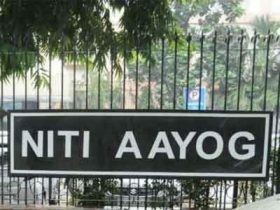 New Delhi: Niti Aayog is working on a bill to streamline regulatory framework for medical institutes and replace the Medical Council of India (MCI) with a new body. The bill, which seeks to set up a National Medical Commission (NMC), will be placed before the Cabinet for approval soon. “The Niti Aayog is working on the proposed National Medical Commission Bill, 2016 and it is likely to be placed before the Cabinet soon,” a senior government official said. Last year, a high-level committee headed by Niti Aayog Vice-Chairman Arvind Panagariya looked into the issue of poor regulation of medical education by MCI and proposed replacing MCI with NMC. Besides Panagariya, the panel included Prime Minister’s Additional Principal Secretary P K Mishra, Niti Aayog CEO Amitabh Kant and the Union Health Secretary. After approval, NMC will become the main regulatory body and will take over all roles and responsibilities of MCI. It will have four boards — Under Graduate Medical Board, Post Graduate Medical Board, Accreditation and Assessment Board and a board for registration of medical colleges as well as monitoring of ethics in the profession. There will also be a Medical Advisory Council (MAC), with members from states who can be eminent professionals. There will be two members from Union Territories. NMC members will also be its members and its role will be advisory. Last year, a parliamentary committee had called for revamping the MCI, saying it has failed in its role as a regulator which has led to a downfall in India’s medical education system. Current system (MCI) has failed miserably. There is no doubt about this. Let us welcome the coming new system, NMC, with a hope that it will improve the medical education and in return health of the nation. This is a sad day. We are moving towards dictatorship with subservience of autonomous institutions being the primary objective. The Government does not want to spend on health and wants to control the private medical enterprise by hook or by crook. Medical education is just one aspect. When 80 MPs own private medical colleges how does a nominated body of government score over an elected body of professionals. Bureaucracy has won. Already Indian Medical Service which should have been at par with IAS is extinct. It is an excellent idea to revamp MCI. The suggestion of four boards will adequately cover the requirements with regulation of these boards by the National Medical Commission. Manipulation and money are important factors In the area of accreditation of new medical colleges and their periodic review by a high powered committee is important in order to assess the continuing standard of medical education. Nursing education is also in doldrums and strict supervision and control is mandatory. Why only MCI? Indian government has not done it\’s job at its best, please abolish it, form new one. Indian law & courts have not done their best, please abolish it, form new one. Indian police system have not done their best, please abolish it, form new one. And so on…… . Rather than correcting problems within system, forming new system which consists of people who are not concerned with medical profession is absolutely wrong and baseless. Still more worsening of things will happen.